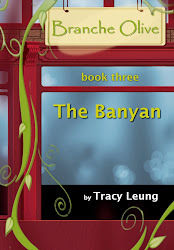 Branche Olive is a trilogy of contemporary adult fiction by Tracy Leung. Allo. My name is Lucy Quinn, I mean Lucy Slavin. I’m an Irish nurse, living and working in London. It’s a big City, but I’m here with my best friend, Tom. I’ve known him all my life. I can’t imagine doing any of this without him. We have been together through all the milestones in each other’s lives. He was even at my wedding. I know that regardless of what happens to us, I will always love him. Hey there, I’m Tom Nolan. My girlfriend, Lucy and I moved to London recently. She’s an amazing nurse and I’m finishing my postgraduate medical training. Lucy and I grew up in Dublin together. She’s the only woman I’ve ever loved. We’ve had our share of tragedies, but through it all I know we have each other. Our life together is full of love despite the struggles and challenges in a new City. It all changes one fateful night when we meet a young Frenchwoman and her dashing husband. Fleur de Lis is Olivia’s story. We first meet her as an innocent yet earnest young woman. She has a successful small business and a boyfriend with a wandering eye. Life puts in to action a series of challenges that sees Olivia fall in and out of love. Baby’s Breath is Donna’s story. Donna is a strong willed, independent woman. She is on a meteoric career path and is very dedicated to her profession. Her relationships rarely keep up with the demands of her busy hours. Donna rarely keeps up with the demands of her relationships. bænyən/ the national tree of India, where Buddha gained enlightenment - but the banyan strangles it's host! - Coming Soon! ©2012 tmleung. Awesome Inc. theme. Powered by Blogger.